The dust was flying last week as lots of dirt was being moved in preparation for building more streets on the site of Edgewater Village, the planned complex of 60 houses and townhouses on Albany’s Willamette riverfront. Thirteen houses have been built on narrow lots on the eastern side of the 6-acre parcel, between the Water Avenue railroad tracks and the Dave Clark Riverfront Path. The western side of the property, site of a former packing plant that burned down in 2006, had been left more or less alone since the city of Albany paid to have rubble from the fire piled up in great mounds of ground-up concrete. The Central Albany Revitalization Area (CARA) has contributed $2.4 million in urban renewal funds toward the development, starting with the cleanup after the fire. 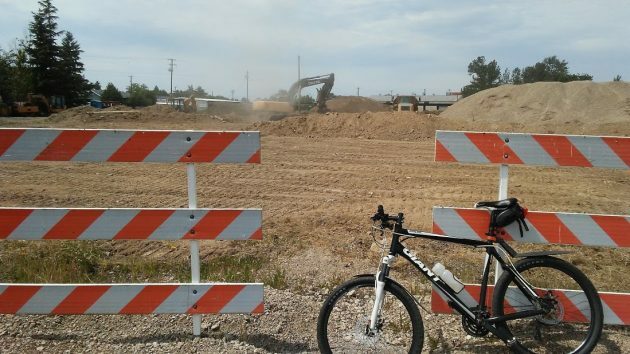 This April the CARA agency okayed an additional payment of $367,800, representing the city’s share of street construction costs totaling some $1.7 million. Some of the new streets run along city property in the middle of the development. Meanwhile, the first two conventional-looking houses are being built closer to the river. They back up to the Dave Clark Path. Earlier this year, the Albany urban renewal agency (the city council, actually) agreed to a change in CARA’s agreement with George Diamond, the developer. The change allowed him to obtain private bank financing to complete the development, starting with construction of streets and utilities. New houses at Edgewater back up to the Dave Clark Riverfront Path. According to public records, Mr. Diamond owns a 4,700 square foot house in Lake Oswego worth over $1 million. I applaud his obvious financial success. But tell me again, why is CARA forcing Albany taxpayers to give millions of public money to him? 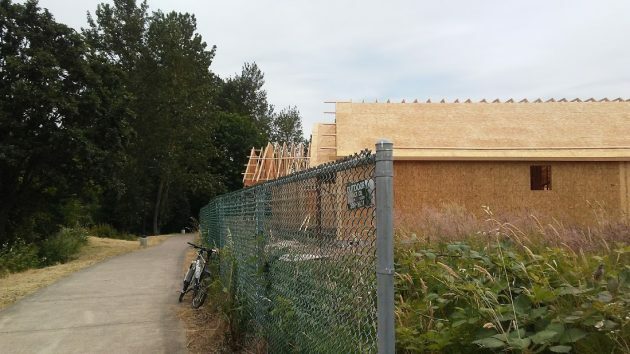 Too late now, but I think they should have left a good-sized strip on the side of the houses to keep a more natural look for the trail. It kind of takes away the beauty riding or walking that close to new houses.